We are a regenerative design & implementation business that is dedicated to restoring the health of the Lower Susquehanna River Valley, and integrating the human habitat with the larger wild ecosystem. Susquehanna EcoDesign follows a philosophy of Deep Ecology based in the integral functionality and wisdom of natural systems. Permaculture is a design process based on natural systems thinking. It takes into consideration many aspects that encompass the lay of the land, interactions with it and personal goals. As designers we follow the principles and ethics of the Permaculture design system, and all partners are Permaculture design certified. Some examples of these systems include: Forrest Gardens/Edible Landscapes, Regenerative Farming, Hugelkulturs, rain collection ponds, swales and berms, and so much more! We are certified to perform Wetland Delineations in accordance with the Army Corps. of Engineers specifications. Wetlands and tributaries are the veins and arteries of our beloved Susquehanna. Water is life. Revitalizing the health of the streams within our watershed is of up-most importance to us. Riparian buffers are necessary to the health of these systems by filtering sediment, controlling erosion, cooling the water with shade and providing habitat for aquatic life. Certain plants and fungi are excellent at sequestering different heavy metals, petrochemicals and other toxins that may be contaminating your soil! By conducting soil tests we can identify what and where those toxins are, then establish a long term plan at remediating the land back to good health. Please visit our Portfolio to see examples of projects we’ve worked on! 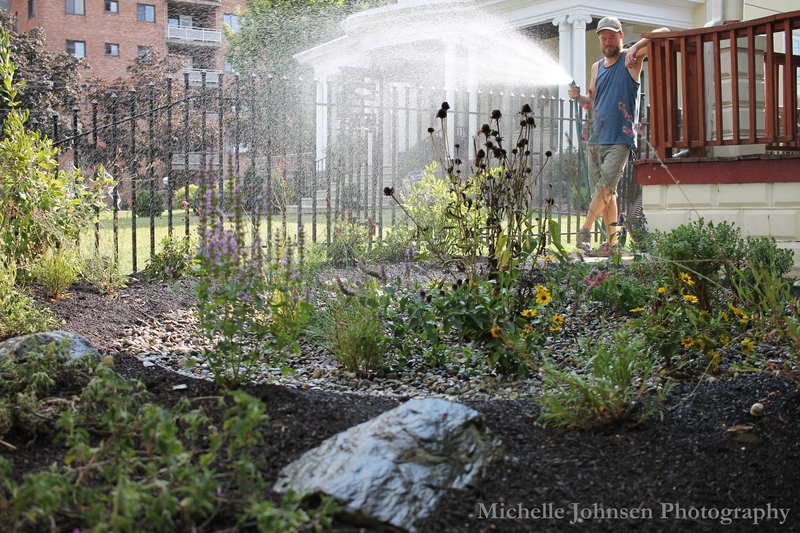 We are specifically committed to serving residents and institutions of Lancaster City in the effort to implement green infrastructure to manage storm water runoff, and to minimize fees for impervious service areas. This effort is vital to the regeneration of the Conestoga, Susquehanna, and Chesapeake watersheds. For more info visit the Save It Lancaster website. For us, everything begins with a consultation so that we can learn about your project, your goals, values, budget, timeline, etc. So please contact us, and we’ll schedule a time to come meet with you… Free 30 minute consultations.